"Your Little Inferno is not like other games. There are no points, there is no score, you are not being timed. Just make a nice fire, and stay warm in the glow of your high definition entertainment product." This opening letter from Tomorrow Corporation - the real-life developer and in-game mega-conglomerate from whom you've just purchased your Little Inferno Entertainment Fireplace - is all the introduction needed for this beguiling blaze of an eShop title. That, and the fact that as soon as you read the letter, you get to burn it. Set in a world of dystopian whimsy, where it's been snowing for as long as anyone can remember, Little Inferno places you in front of its eponymous fireplace and lets you get to work. It's as much a sandbox or digital toy as it is a game; using the GamePad's touch screen (a Wii Remote works too), you'll drag objects into the pit and hold down the stylus to create a flame wherever you touch, setting them ablaze. 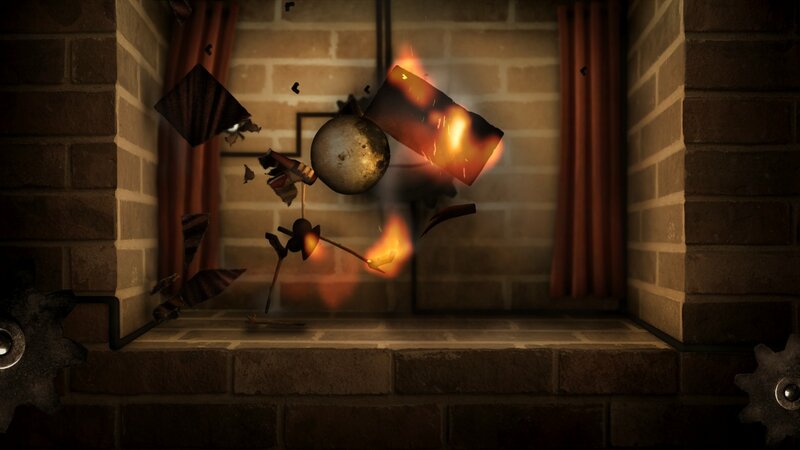 Burning things nets you coins, which you can in turn use to buy new items to burn from the game's wonderfully clever catalogues. These have loose themes like food, toys, video games, and "the World of Tomorrow", and each item has a witty one-line description which is well worth reading (sample: "Discount Sushi - pairs well with a nice bag of wine!"). 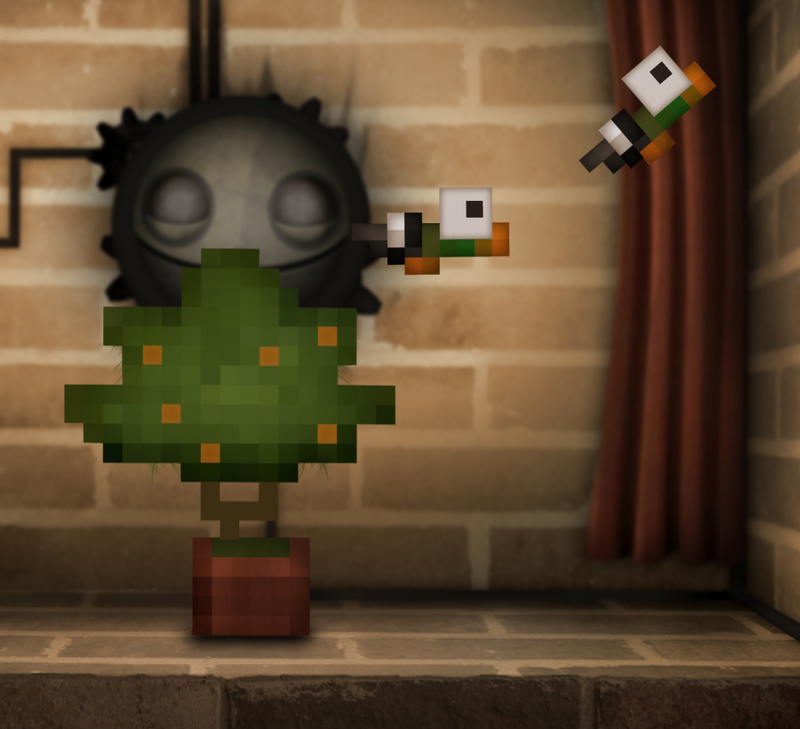 Keep an eye out for winking references to the developers' previous projects, like World of Goo and Henry Hatsworth, as well. Just like with real-life catalogues, your purchases will take a bit of time to arrive. Smaller and less expensive items will be ready to burn in seconds, while the game's biggest ticket takes four real-world minutes to reach you. You can speed up this process by using stamps you'll find in the fire to get a package delivered right away, and while the system might bother particularly impatient players, we used quite a bit of "express shipping" and never ran low on stamps. The puzzle element comes from the combos you'll need to put together to unlock more catalogues, so you can buy and burn more things. It's very light puzzling, and nothing that should stump you, but it's fun; each combo has a pun-y name, and you'll need to find two or three objects to burn together that fit the theme. For example, to get the "Movie Night" combo, you'll need to set fire to corn (creating popcorn) and a television at the same time. They get much cooler (and more pun-based) from there, but we don't want to spoil anything. 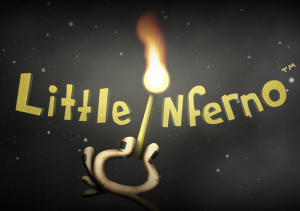 There are an awful lot of things you can burn up in Little Inferno - 140 in total - and a powerful physics engine matched with creativity and care means that each and every one reacts differently. Some items will explode, some will burn slowly; some will move and some will sing; some will change the colour or appearance of your flame, and some will alter gravity. All are presented with a healthy dose of humour. There will be crackling fires, glowing embers, sullen ash, and even some ice. 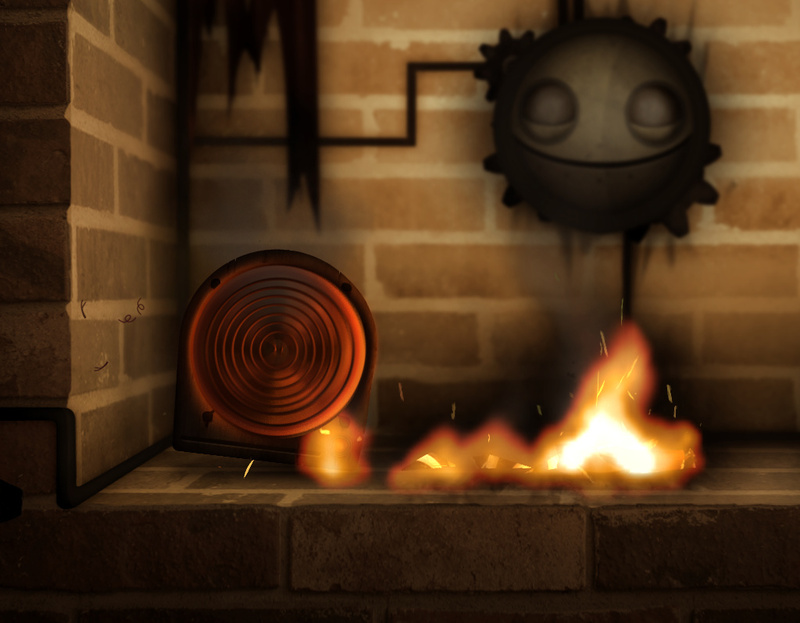 As an "Entertainment Fireplace", Little Inferno succeeds completely, and will absolutely delight budding pyromaniacs. But it ends up being much more than just the world's most permissive fireplace simulator. As you play, a quiet narrative unfolds through letters that show up on your "to burn" shelf, sent by the Tomorrow Corporation, an intrepid weather man, and a good natured neighbour. We don't want to reveal anything about the story or the surprisingly affecting conclusion, but believe us - it's a wick worth burning to the end. 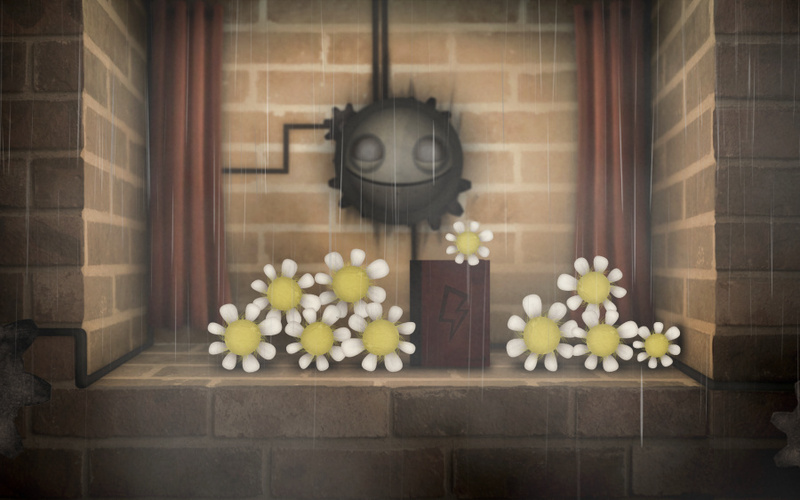 From start to finish, the whole game is wrapped warmly in a chimney-swept aesthetic that's dark, smoggy, and a little creepy - but somehow appealing. Little Inferno's flames are the star of the show, and they look gorgeous in HD, as do all of the varied fire effects you'll produce. It's oddly captivating watching things burn from their original form down to charred remains, fine ash, or melted pieces, or noticing glass shards from a light-bulb you've just burned in an otherwise homogeneous pile of soot. The atmosphere owes a lot to the wonderful musical presentation as well. While the fireplace itself mostly crackles along unaccompanied, the 1960's TV jingle music of the catalogue screen (where you'll spend a lot of time) and the drunken phone-ring shuffle of the combos menu are a perfect audio embodiment of Little Inferno's thematic contrasts: equal parts saccharine and coal. On the rare occasions when music does fill the hearth, it's to soaring effect. The game streams everything to both the GamePad and the TV, and works just fine on the GamePad alone. This will make for some cozy nights of bedside burning for players with Wii U-friendly floor plans, but it also points out a small issue with the game. The GamePad is the best and most tactile way to control the game, but a big screen TV is the best way to look at it, and it's hard to reconcile those two facts. It feels disjointed to try to look at the TV while using the GamePad, and while the Wii Remote is a perfectly serviceable control option, it's just not as satisfying to "point" something ablaze as it is to use the power of touch. Luckily, Little Inferno is a lot of fun to watch even if you're not playing, so the TV view won't be lost on couch-side companions. It's worth noting that Little Inferno is not a long game. In fact, it's easy enough to do a full play-through without having to charge your GamePad. Players who enjoy the combos will undoubtedly be back to finish the full set of 99 (only 45 are required to complete the story), but beyond that any replay will come from your own desire to return to the fireplace. It's in keeping with the theme of the game, really, right from the introductory letter: "Just make a nice fire, and stay warm in the glow." Little Inferno is a surprising game. It's surprising both for the simplicity of its concept ("burn things"), and for the fact that such a coherent and lovingly crafted experience has been built around that idea. It's also surprisingly different from what we traditionally think of as a game, and because of that, it isn't for everyone. 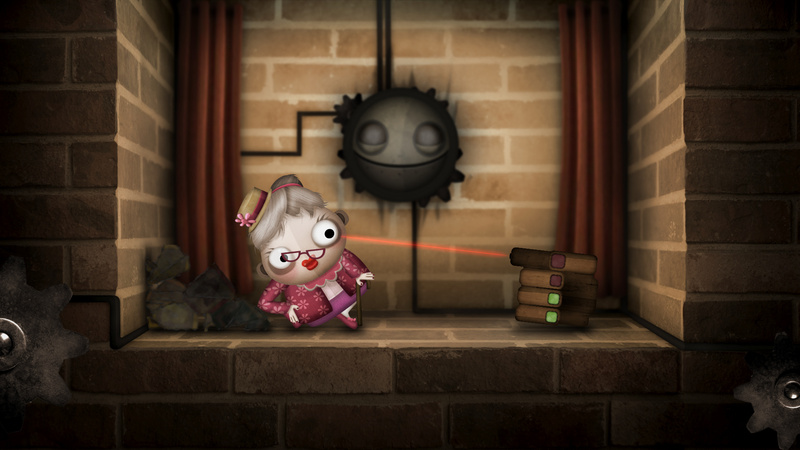 But players drawn to the flame will find a fun, funny, and even moving experience in Little Inferno. It's a lot like setting some of the game's more spectacularly flammable objects ablaze, actually; a fast burn, but beautiful while it lasts. It sounds too simple and short to justify the price, not that there's a lot of choice on the eShop right now. Sounds perfect for cold winter nights will get on Friday if its available. Is this really worth it for what appears to be just a virtual fire place? I love you really Liverpool. Thanks for the review. It's the only review of LI that actually got me interested in it. Something about the subjective rather than objective analysis that keeps me coming back to this site. @Taceus I went to Metacritic after reading your comment to see if any other publications were being less subjective about this title, and I saw this blurb from IGN: "But it's not really a video game, so feel free to forget this freaky fireplace." Good example of what you're talking about, I think! This sounds really odd. It also is the only game on the WIi U's eShop that looks interesting to me, so I might get it when I get a Wii U.
Dang. I need a Wii U. "But it's not really a video game, so feel free to forget this freaky fireplace." Aaaand that's how you know the reviewer only played for around 10 minutes. Well, this certainly sounds like a unique title. Just might try this some day. Fireplacing 2! Except, you know, good. A fireplace simulator done right, this game is fun. I wasn't sure if that was just a placeholder piece when I got the preview build, but it seems like it's survived to the final. Anyone who's seen It's Always Sunny in Philadelphia should recognize this one. I'll pass. Seems dull, I rather buy Trine 2 and/or Nano Assault. I didn't find World of Goo fun either. is the wiiu eshop as easy to top up with cash as the 3ds one? @DiscordedTeeJay That was my first thought too! I was thinking @Phil would be so happy to see this! @daznsaz Yup! Though the option to add just what you need is sort of confusingly labeled "Pay remainder by credit card", as opposed to just being an option under "Add funds" if I'm remembering right. But you won't have to add $/£/€20 every time you want a game like on the Wii! I really REALLY want this, but $15 just seems too high considering how little content it sounds like there is. I'm all about getting the most bang for my buck, and I'm having a hard time justifying this one. disturbing video. that is all. I wish I wasn't so cash-strapped. It didn't top WoG, but that would be hard to do. If I get a Wii U, this'll probably be my first download. This seems charming and all but $15 is way to much. I'd pay $5 but that's about it. What a bummer! I hoped it would be a real game, like World of goo! This sounds like not much more then a sandbox! And yet it sounds interesting in a way! Maybe I should still try it someday? I am still considering this game but if it costs too much, then I might not take the plunge. And so begins the Wii U eShop's reign of terror. I mean that in a good way. Look out, PSN and XBLA. I loved World of Goo, and I love Little Inferno. Don't let its simplicity fool you. You want to try this. I loved world of goo. So I may get this. I couldn't wait for my WiiU, so I bought the PC version of this (via Steam). It is certainly unusual, and very different to World of Goo (though love the same graphics style). What got me was just how addictive it is to just sit there and burn stuff! I ended up burning endless School Buses just to hear those kiddie screams (sick or what! ), and the poor toy kitten. I'll no doubt download this again for my WiiU as this game (and the games company) deserves every success. Good review. This is a very interesting game but it doesn't sound like there's enough content to justify the price. Hopefully it will go down in price at some point. So expensive... But I think I'll be getting this anyway. I'm going to be honest. I completed the game's story in 5 hours, though I still have around 20 combos left to find. However, what I now find myself doing most of the time is stacking 10-12 random objects in the fireplace and then setting something on fire to see how it spreads and what chaos emerges as a result. Call me a pyromaniac, I guess, but it's incredibly addicting and I can waste hours just burning different sets of items. Still don't know if it was worth the price, but for now it is certainly holding my attention. Playing through this game a second time. I love it. Great review. Up to about 2 year sago it seemed everything on PSN was $9.99, then it seemed to mostly go to $14.99, and I bought WoG in April 2009 on the Wii for $14.99 on Amazon (though I used $11 in credit) so it doesn't surprise me this is $14.99. Of course since April 2009 there have been a ton of free and 99c game apps unleashed upon the world, so it doesn't surprise me that $14.99 seems a bit steep for this sort of thing nowadays either. Hopefully Nintendo will do a better job with sales on the Wii U than it did on the Wii. It doesn't even need to be "Steam" good, just PSN good. I got this game and I love it!...this is something you would think Tim Burton had a hand at making/creating...wonderfully twisted and disturbed...YAY!!! I did end up getting it and I absolutely adore it. My suggestion, if the price is putting you off, is to get it on Steam during the Winter Sale. But you absolutely have to play it, one way or another. This is the greatest game I have ever played! I just can't get enough! I would pay another $15 to have it on Wii U when I get one! I would pay another $15 to get it on 3DS if it's ever released for it! Love this game, very nearly finished it on my first playthough after 2 hrs 53 mins, but it was late and i was knackered so I finished it the following day after 3 hrs 23 mins, though I've still got tons of combos to find! Love the game, and felt emotionally attached to the story too! When i get my Wii U in a couple of weeks Little Inferno and Hyper Switch Force are definitely being bought the second that damn hellish long update finishes. Just a quick note to everyone: The game is currently on sale for $10 until January 4th.